Psalm 23 is one of the most known and most popular verses. When I put together the Our Cups Runneth Over free theme, I knew I wanted to add as many additional resources possible. This free coloring page makes a perfect accessory to the theme. As an adult, I’ve had several opportunities to attend Jennifer Rothschild’s Fresh Grounded Faith conferences. One memory stands out most to me, Jennifer leading hundreds of women in lifting our cupped fists and praying, I lift my cup, Lord. Fill it up, Lord. 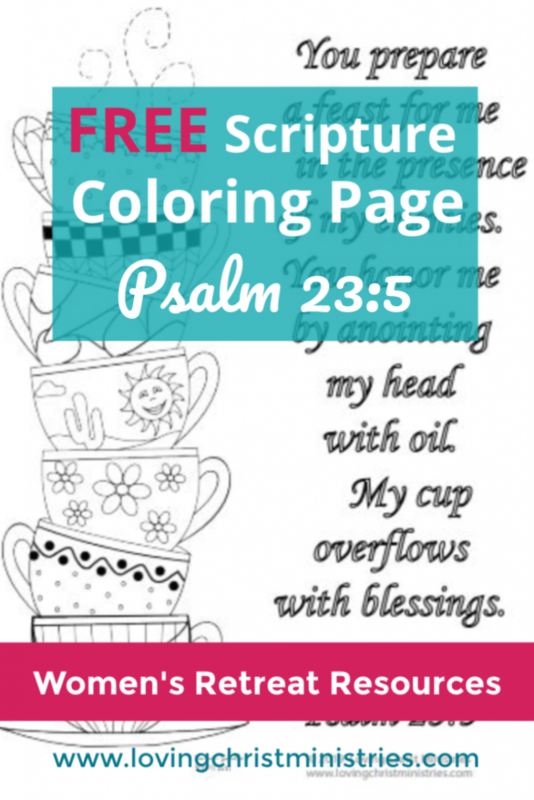 If you hold a retreat using the Cups Runneth Over theme or one like it, this free coloring page will complement it perfectly. 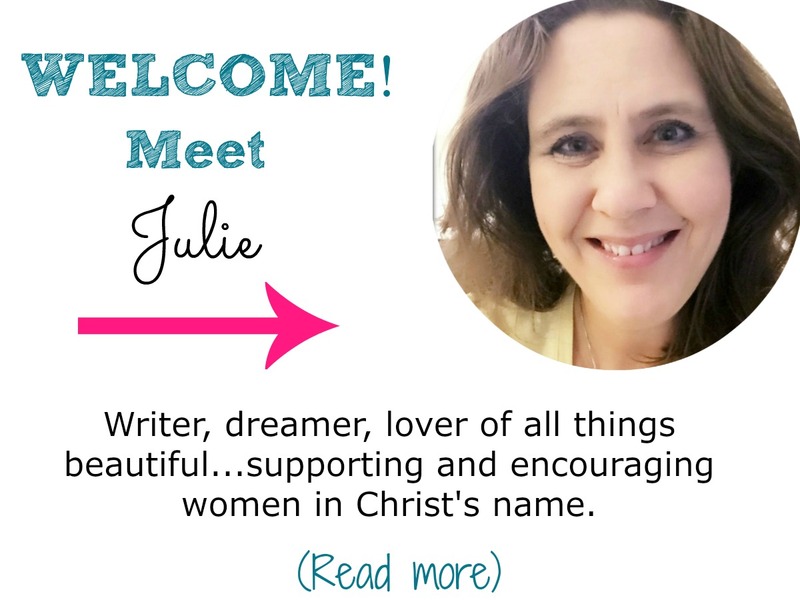 Recently, I attended a Christian writer’s retreat organized and led by Christian blogger, Sarah Geringer. It was the first time I got to see a Loving Christ coloring page in action. 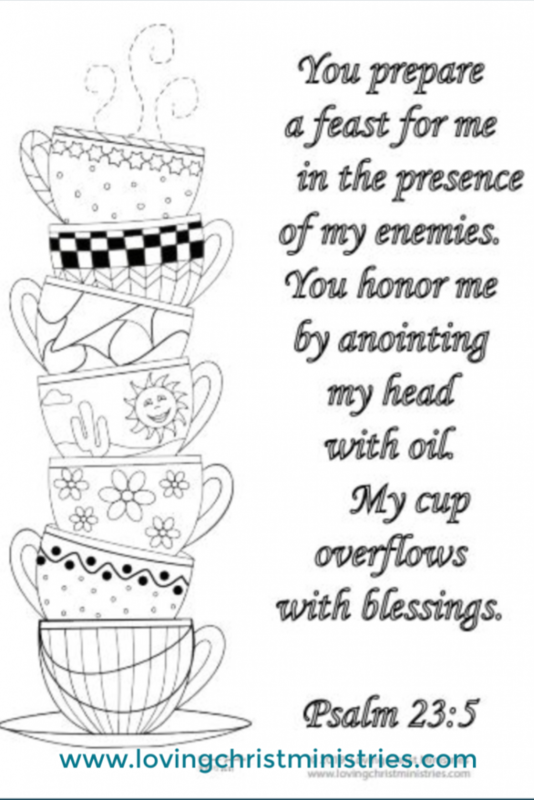 A scripture coloring page like the Song of Solomon page or this new Cup Runneth Over one makes a peaceful and reflective activity for retreats. Having a little downtime allows each person to recharge. And meditating on the scripture at hand keeps our focus where it needs to be in order to get the most from the retreat. 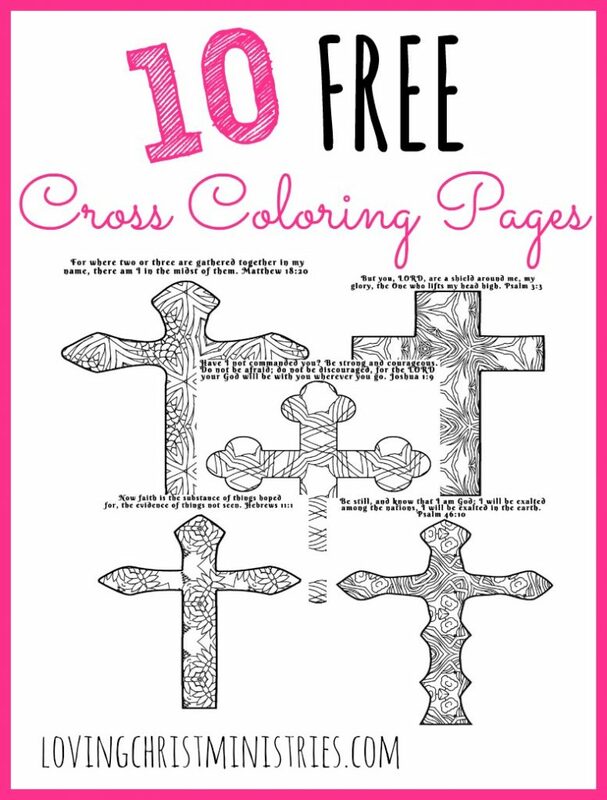 Be sure to spread the word about this free coloring page by sharing on Facebook or Pinterest. To download this coloring sheet, click on the text or image below to open it. You can then print it or save to print later. I truly hope you enjoy this free printable either for yourself or to add to folders at your next retreat or ministry event. 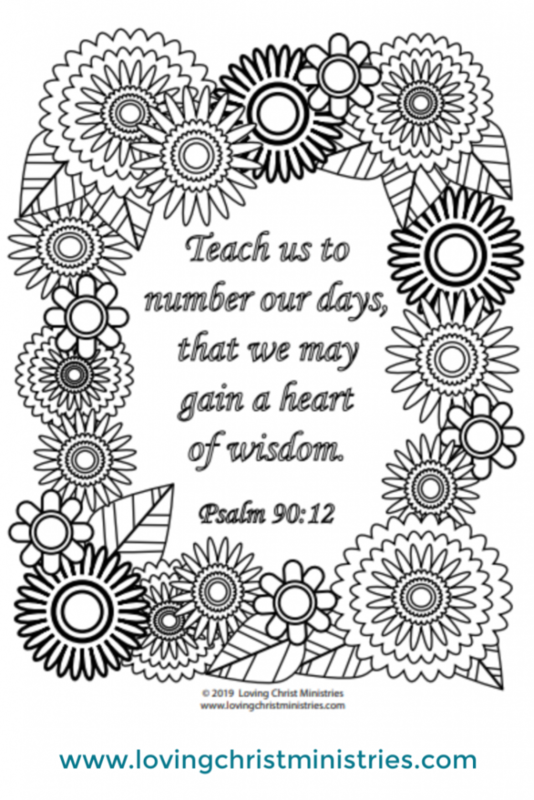 You might also like to download the free Gain a Heart of Wisdom coloring page or the free Cross Coloring Pages. There are 10 unique designs (I love them all!). 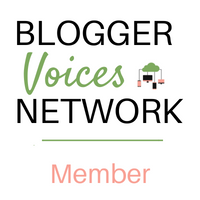 NOTE: The cup design was created by Carmensplace, an Etsy store/creator, and is used with permission here. I put it together along with the scripture in Adobe Illustrator for you, my readers. Enjoy!